This work elaborates R. W. Emerson s modification of S. T. Coleridge s central philosophical-aesthetic notions, such as imagination, reason, genius and symbol. 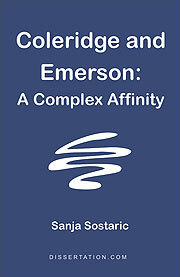 Although Kant s and Schelling s idealistic philosophy, various pantheistic theories and Neoplatonism are identified as Coleridge s and Emerson s congenial intellectual and spiritual background, the author draws yet more attention to subtle differences between the English Romantic Coleridge and the American transcendentalist Emerson, which allow us to recognize that we deal with two distinct philosophical and poetic theories. The first part concentrates on Coleridge s intellectual development from the eager empiricist disciple to a philosopher dedicated to the impossible enterprise of formulating the unified theory of life, which would incorporate Kant s transcendental philosophy, pantheism and Christianity. Coleridge s letters, diary entries and notebook citations reveal a thinker unwilling to sacrifice neither the fervor of his Christian belief nor the poetic potential of pantheistic doctrines to the cool intellectuality of any single philosophic system. The outcome of Coleridge s synthesizing effort was thus the Romantic aesthetics which was not a substitute for religion, but religion artistically redefined. Within this context, particular attention has been given to Coleridge s radical adjustment of Kant s differentiation between reason and understanding on the one hand, and of the neoclassicist differentiation between imagination and fancy on the other hand, to his own needs. Coleridge s tendency to use Christian arguments as the cohesive force that would secure the unity of his theory made Coleridge over-emphasize the spiritual dimension at the cost of the intellectual and thus fascilitate a significant shift in thinking, which was responsible for the creative misinterpretation of his theories by the next generation of thinkers in the United States. As it is shown, James Marsh's publication of Coleridge's Aids to Reflection!, in which Coleridge elaborates his concept of the spiritual religion and of the notion of reason which approximates the inner light theories and nearly erases the Christian balance between the Creator and the Creation, plays an exceptionally important role in this process. In the second part, the author delineates Emerson's transformation from the Unitarian to the transcendentalist and explores in detail to what extent Emerson's formulation of his transcendentalist philosophy derived from his inclination to read Coleridge as a mystic, that is, to regard Coleridge's Christian bias as a whim which does not essentially affect the core of Coleridge's theory. It is shown that Emerson, neglecting flatly Coleridge's careful distinctions aimed at preserving the balance between dualism and monism, resolves Coleridge's theoretical ambiguity by exclusively concentrating on the part of Coleridge's system which favors the irrational and the unconscious dimension. As a consequence, Emerson's philosophy and aesthetics, with their emphasis on reason and imagination understood as inspiration, that is, the inflow of the divine into the mind of the artist, represent a radicalized version of Coleridge's neatly supressed monistic tendencies. In Emerson's interpretation, Coleridgean imagination becomes equated with Plotinian soul, that is, Coleridgean reason becomes a synonym for the utter mystical depersonalization. Finally, the delicate and easily overlooked Emersonian shifts with regard to Coleridge's theory point at the significance of Emerson's theoretical solutions in the transition from romanticim to modernism, a transition to which, ironically enough, Coleridge himself unintentionally and indirectly gave valuable contribution.